March means Spring is here. March also means it’s Mg’s birthday month! 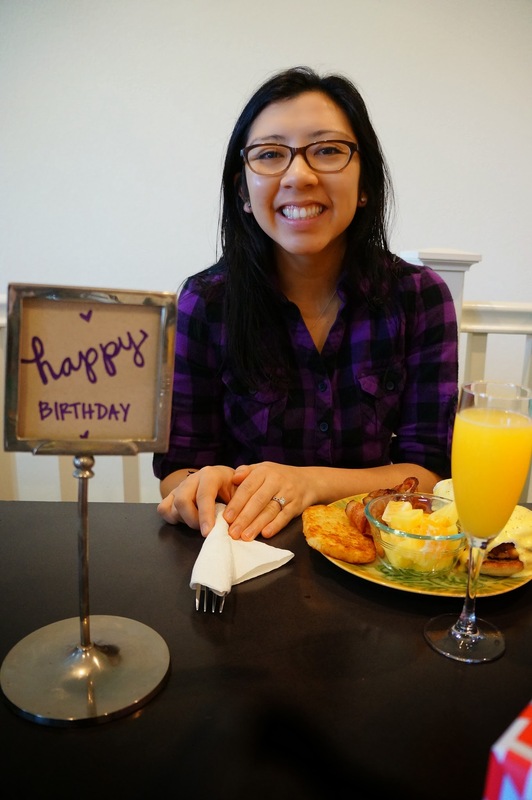 One of my best girlfriends also shares this birthday month too! As you can imagine there’s tons of eating and splurging that goes on in March. 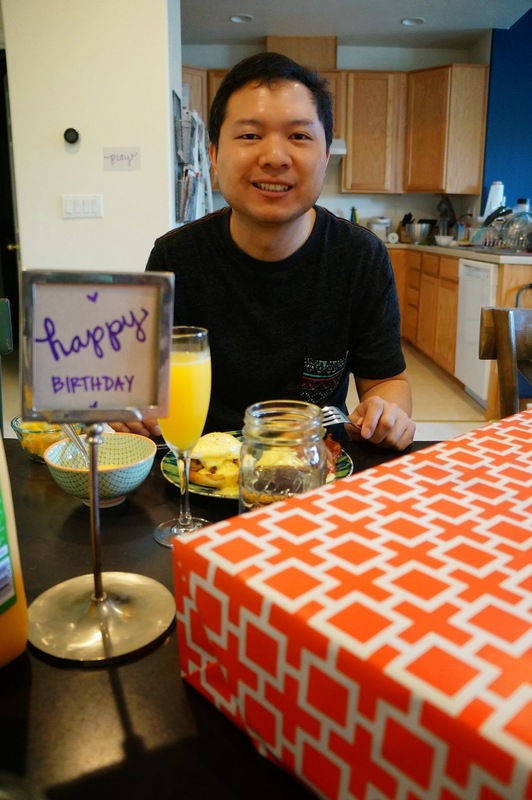 This past Saturday, I decided to cook brunch for the birthday boy and girl. Such a fun thing to do! Brunch in an intimate environment, save some money, and eat home cooked food. On the menu was crab cakes benedict, apple smoked bacon (from TJ’s, best bacon evarrr! 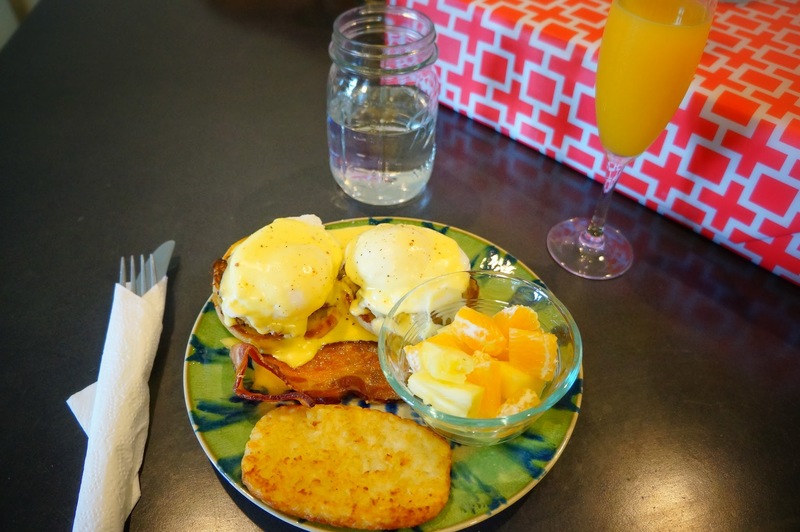 ), hash browns, fruit, and mimosas. Delicious and oh-so-filling! 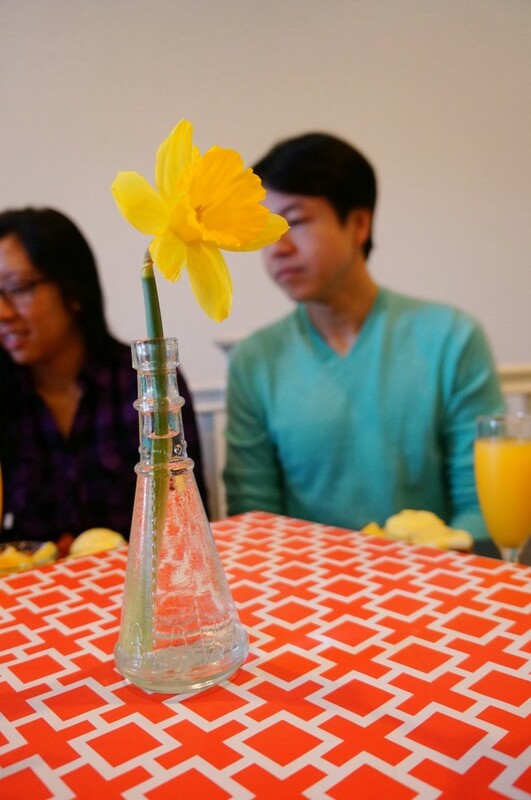 ^^^ My sweet centerpiece. Holly’s present in the middle, with a gorgeous daffodil. Perfect for Spring! Birthday girl ^^^ Happy birthday Holly! 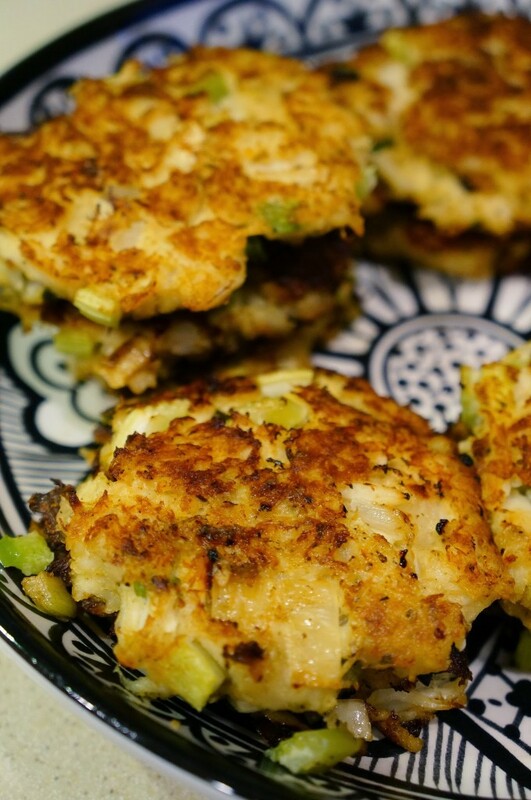 Here’s my crab cake recipe so that you can have your own brunch at home. 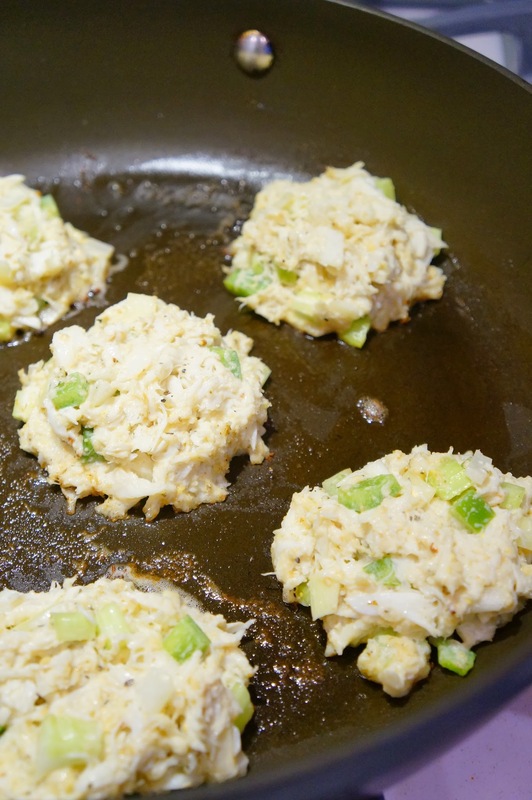 It’s a classic recipe, without any fluff, just a lot of sweet, pure crab meat. 1. 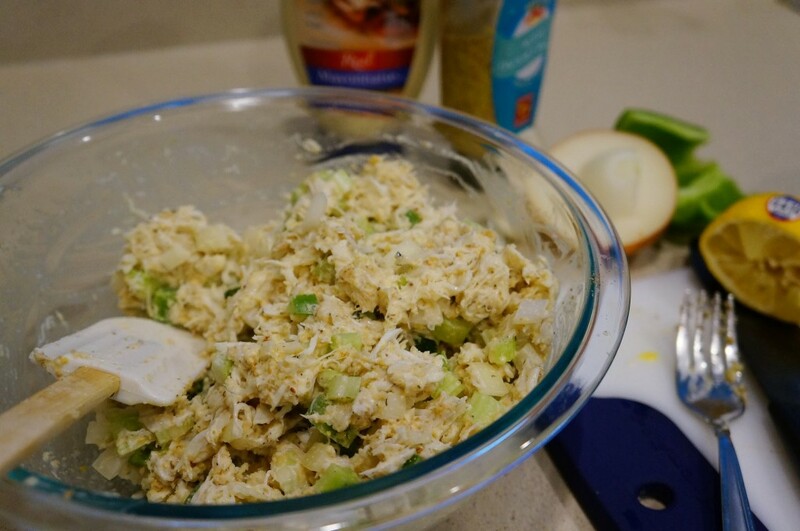 In a large bowl, mix together the crab meat, mayo, mustard, lemon juice, Worcestershire sauce, breadcrumbs, onions, and pepper. Beat the egg and pour it into the crab mixture. Combine well. Then cover the bowl with plastic wrap and place into the fridge for 20 minutes. 2. High heat to heat up a large pan and add butter. Once the butter is melted, turn the heat down to medium, and place 1/3 cup of crab mix onto the pan. Shape each patty to your liking. 3. This next part is all about patience. Leave the crab cake on the pan for 5-6 minutes, until golden brown. 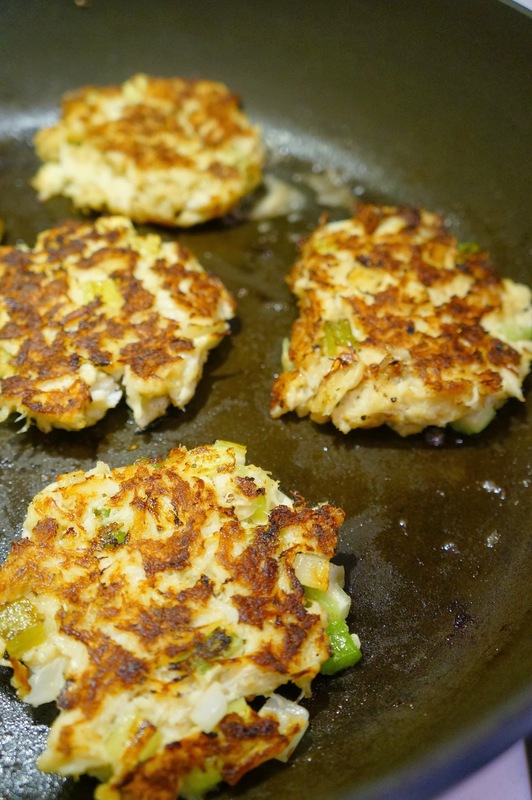 Then very carefully flip each crab cake and cook the other side for 5-6 minutes. Set the cakes aside and let it cool for 1 minute. It’s ready to eat! 1.To make hollandaise, whisk 4 egg yolks and 1 tablespoon of fresh lemon juice together until light in color and fluffy. Mixture should thicken and double in volume. Use a mixer if you have one! It’ll make it easier. Melt half a cup of butter and let it cool but not solidify. Prepare a double boiler, pour in the egg yolks and continue whisking rapidly. You do not want your eggs to cook. Then slowly pour in the butter to the egg yolks – do not stop whisking! Add a pinch of cayenne and a pinch of salt. Once the hollandaise sauce is thickened and warm, it’s ready! 2. Toast an english muffin, then spread butter onto the muffin. 3. Now combine your ingredients – first the muffin, then the crab cake, add a poached egg, and a spoonful of hollandaise sauce. 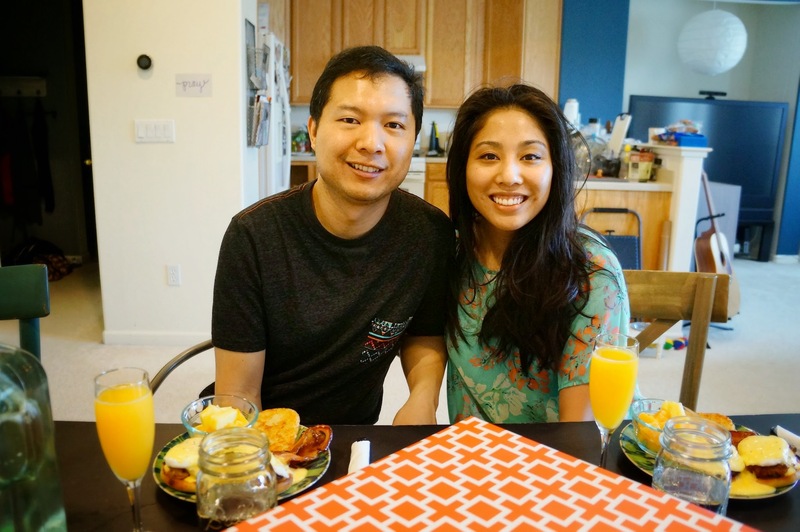 Brunch away! So much food! As you can imagine, we had food comas afterwards. We tried to fight it by walking to the local farmer’s market, but once it hit 3pm, it was nap time. 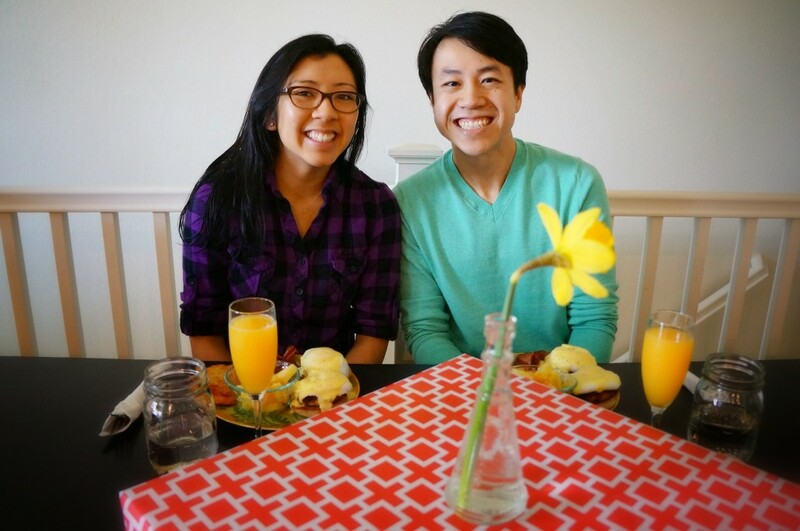 What’s your favorite brunch item? And also tell me your favorite brunch restaurant (because I may need to go check it out). This entry was posted in Food & Recipes and tagged birthday, brunch, crab cake, eggs benedict, food, march, recipe, weekend. Bookmark the permalink. So much food that we decided to do a buffet for dinner? hahaha!